Salam & hello everyone... <3 Another Ms Rosy Series - Now let's talk about style and fashion! I love fashion and style buttttt I don't really get the chance yet. Yet! Do you love OOTDs? I love! Featuring the color Pink. It me and Ms Rosy favorite color. I might say that I kinda like pink because most of my stuff are pink. For me pink resemble femininity and its a fun statement color. I am attracted to this color to the part where I mostly would buy things that are pink. Look at my laptop! It pink! Hmm... Can pink be the new black? How to rock this color at any age! Let see down below! A must have fashion item. 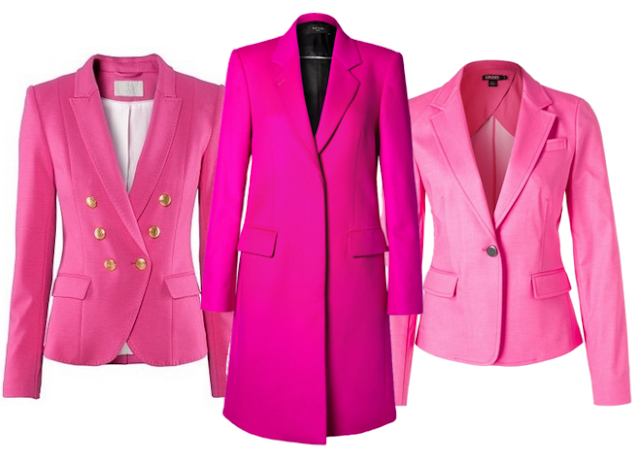 A shocking pink blazer can never go wrong. Pair it with a plain T shirt and wear this. Pow. That is one awesome piece! For youngsters, they can look pretty cute with this. Pair with a flirty dress or minimal pattern shorts. Perfect for collage outwear too! For young adults, you can look preppy as well as flirty with this piece. Pair with a slack and a shirt. You look clean and neat as well as flirty. For adults, you can never go wrong with a sophisticated trench coat. A blazer is fine too, it basically just gonna pop out your outfit with a splash or girly color! Another girl best friend, always there around your shoulder don't they! A piece of statement bag can also rock your outfit. For youngsters, a cute pink back pack is all you need! Suits for classes and collage! Go daring with a cute pattern design as well as unique type of bag like the glitters one above! Go for a laid back look with a soft leather bag for the young adults. and a statement structured bag for the adults! Pick your pump up kick~ you better run better run~ out run my... ok! Just like Ms Rosy, I love pink heels! Go for a statement unique design of shoes like this quirky wedges or go all sporty and swaggy with a sneaker wedges! Oh I ever one a sneaker wedges! For youngsters, pair with a cute outfit to make you look fun! Who said adults can't wear a cool hip sneakers, pair up with a sophisticated outfit and you look swaggy! LOL! Who invented the word swaggy? Last but not least, a classic pink pump that suits any age. Its a instant glam to your outfit! As well as it Ms Rosy favorite piece! 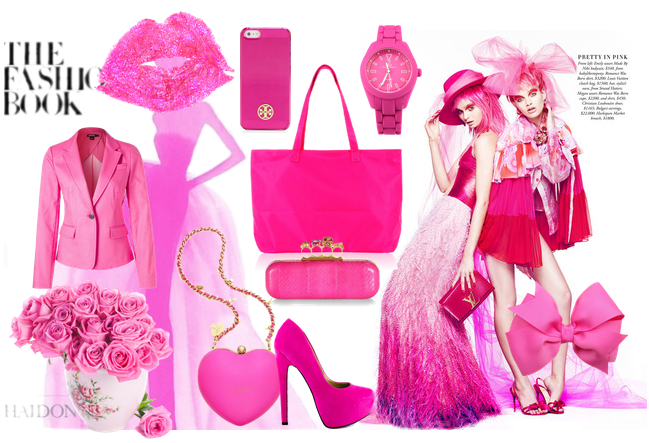 Do you love pink items? Ms Rosy does! With a cute pink outfit you also need a pink rosy skin to complete the look! 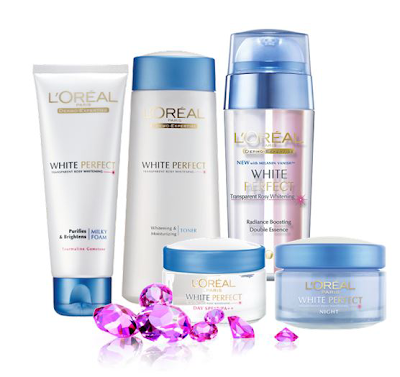 Check out L'Oreal White Perfect Range that help to make your skin brighter and rosy finish glow! Yep, its a pink cream! It matches! hehe sama lah! kalau sab cerita kisah lama sab dengan pink mesti org xpercaya... tp sekarang! haih! pantang nmpak pink! Thanks! nice kan that bag! the charms on the bag make it look cuter! I love seeing others wearing pinks. On me..I don't know. I looked odd wearing pink clothing items but I do have a pair of bright pink shoes that I'm still planning on featuring in my blog someday. me tooo! oh i wanna get a bright pink sport shoe!